ServicePulse relies on heartbeat messages sent from the heartbeat plugin to indicate whether an endpoint is active or inactive. 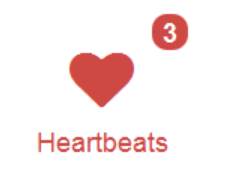 The main dashboard shows a heartbeat icon which will indicate if there are any inactive endpoints. Click this icon to go to the endpoints overview. This page shows a list of active and inactive endpoint instances. 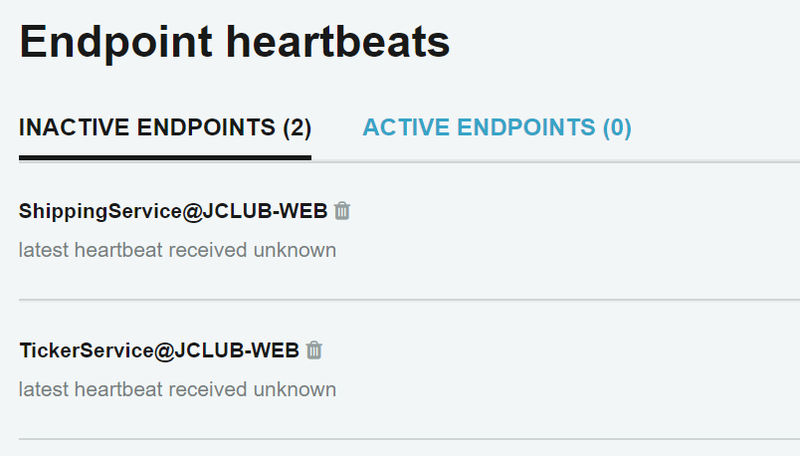 Each endpoint instance shows when the most recent heartbeat from that instance was received. By default, each new endpoint discovered by ServicePulse is monitored for heartbeats. If the endpoint is not sending heartbeats (either because it is offline or because it does not have the heartbeats plugin installed) it will immediately be marked as inactive. Whether or not an endpoint instance is monitored can be configured in the ServicePulse configuration page. Setting the endpoint to "Off" will prevent it from appearing on the endpoints overview screen and from affecting the dashboard. This is a configuration setting only and the endpoint itself may still be configured to send heartbeat messages. At this time, it is not possible to permanently remove an endpoint from the ServicePulse configuration screen.